Our mission, vision, core values and priorities. Leverages academic and industrial assets in New York state to enrich economic diversity. CREA programs support innovative and entrepreneurial ideas that will create jobs – in all fields – in Ithaca and throughout the Southern Tier. The CREA team oversees initiatives that include entrepreneurship mentorship, Rev: Ithaca Startup Works, the Southern Tier Startup Alliance (STSA), Cornell Engineering Commercialization Fellows, and the 76West Clean Energy Competition (in partnership with NYSERDA). Supports the faculty and staff throughout their experience at Cornell from recruitment to retirement by: creating an environment that values and supports diversity; recruiting, hiring and retaining top performing talent that will support university priorities; offering a comprehensive and competitive compensation and benefits program; prioritizing continuing education, professional development, work life balance and organizational health; and designing and implementing policies, processes and programs, in compliance with applicable laws. 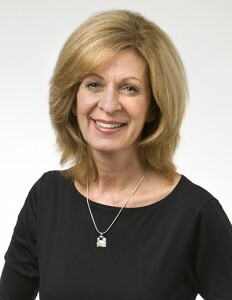 Mary George Opperman serves as the Vice President and Chief Human Resources Officer for Cornell University, which employs approximately eighteen thousand staff and faculty on campuses in Ithaca, Geneva (NY), New York City and Qatar, as well as dozens of research facilities across the country and beyond. She is committed to advancing an equitable workplace culture and advances this goal as an advocate for employees, and an ambassador with the local and regional communities. Her portfolio at Cornell includes oversight of the Division of Human Resources, the Office of Inclusion and Workforce Diversity, Title IX Compliance, and the Center for Regional Economic Advancement (CREA) which she was influential in establishing. Mary is passionate about creating a culture of belonging at Cornell that values and supports employees as whole persons, and in turn, is mindful of the connection between the workplace, the individual, and the community in which we live. 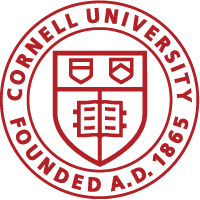 To achieve the vision, “The best faculty and staff in the world choose Cornell,” she challenges the university’s HR community to question the historical definition of human resources and embrace emerging cultural expectations in order to more fully serve the needs of today’s employees. Mary’s leadership extends beyond her Division activities to support the local and state economies. She oversees the Center for Regional Economic Advancement (CREA), which leverages academic and industrial assets in New York State to enrich economic diversity. Mary also was a founder in 2014 of Rev: Ithaca Startup Works, a New York State-funded business incubator in downtown Ithaca; a ground-breaking collaboration with Ithaca College and Tompkins Cortland Community College. Mary is a fellow of the National Academy of Human Resources. She is certified by the Society for Human Resource Management as a senior professional in human resources. In March 2015, Mary was selected by the editors of Human Resource Executive magazine as one of the 15 most influential women leaders in human resources. She is an active supporter of her community and has served on numerous boards of local and national organizations. She is currently serving on the boards of Tompkins County Area Development, the Southern Tier Regional Economic Development Council, the Legacy Foundation of Tompkins County, the Paleontological Research Institution, the Boyce Thompson Institute, the National Academy of Human Resources Foundation and Ithaca College. She is also a member of the Governing Body for the New York HR Leadership Summit. Prior to joining Cornell in 1996, Mary spent 13 years in the human resource function at Harvard University. She has her master of science degree in organizational behavior from Cornell University and her bachelor’s degree from the State University of New York at Oneonta in political science.